Centennial Manor Apartments are a great senior living facility in Sioux City, IA. 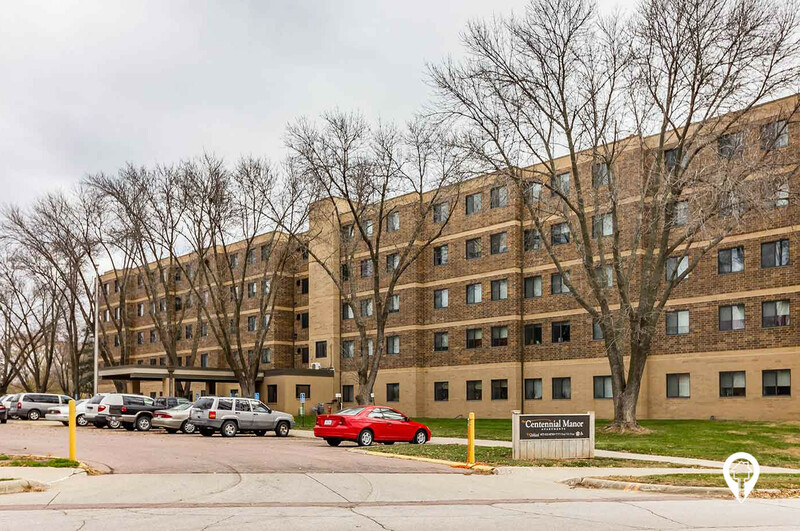 Centennial Manor Apartments are a great senior living facility in Sioux City, IA. This great location is accessible to the city through the bus line and only one block from a new senior center. These newly remodeled units offer access to high speed internet, laundry facilities, and a noon meal program, as well as available grocery and prescription delivery. You will love all Centennial has to offer. Call and schedule your private showing today! 1 bed 1 bath $835 1 Bed / 1 Bath 506 sq. ft.
From I-29 the Hamilton Blvd exit (exit 149), go north on Hamilton Blvd. Turn right onto W 3rd St. Drive approximately three blocks and arrive at Centennial Manor Apartments.